As promised this post shares the summary findings from our recent online event, GCU Games On. As I’ve written about before we developed this very quickly (in a month from idea to online) so we were very aware of some of the pedagogic shortcomings of our overall design. However given the rapid development time during the start of summer holidays when most of our subject experts were on holiday we had to make some very pragmatic design decisions. Overall the feedback was pretty positive and the whole experience is helping to shape our developing strategy to open, online courses. (Nb the text below has been adapted from an internal report). 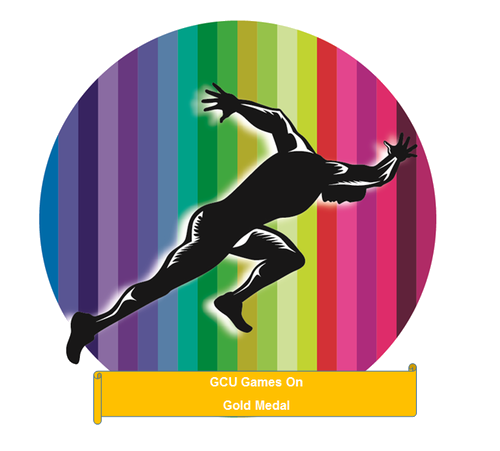 GCU Games On was an open online event designed to celebrate, explore and share experiences during the Glasgow 2014 Commonwealth Games. It ran between 16 July and 8 August 2014. Instigated by the PVC Learning and Student Experience, it was developed in little over a month. Due to the time constraints (one month from idea to being available openly online) a simple design was developed which included: background and contextual information with relevant links, making a wish on our digital wishing trees, at least one twitter based activity and a medal quiz challenge each week. Sharing experiences of Glasgow 2014 via twitter was encouraged each week. Daily email updates were sent to all registered participants. The event was delivered via the new Blackboard Open Education platform. Of the 211 registrations, 22 completed the survey giving a 10.4% response rate. In addition, due to the use of social media (and in particular, twitter) a number of informal responses to the event were shared. The majority of respondents to the survey were female, aged between 25 to 65, based in the UK with no connection to GCU. The majority of participants were based in the UK, with 36% based in both Glasgow and Scotland respectively. 18% of respondents were from the rest of the UK, and there were equal numbers (4.5%) of respondents from other Commonwealth countries and non Commonwealth countries. From registration information we know we had registrations from Australia, India, Trinidad & Tobago, Ireland, Israel, Denmark, Canada Italy, Israel, New Zealand, Spain and South Korea. 59% of respondents had no connection with GCU and 45% of respondents cited wanting to experience online learning at GCU as their main reason for participating. The vast majority of respondents had some form of formal educational qualification, 45% up to Masters level. This correlates to general trends in open online courses, but may also reflect a network effect from the Blended Learning Team’s network and promotion of the event. 95% of respondents found the site easy or partially easy to use. 54% of respondents completed all of the activities. Open feedback was generally positive about the experience. Great to see you share some of the feedback. I was one of people to slip out early but with even minimal participation I still have a sense of achievement (the majority of courses I sign up for I do nothing). You mentioned some pedagogical weaknesses, was that the lack of learning outcomes? Hi Martin, thanks for commenting. Great to hear you felt you had a sense of achievement – badges ftw! I think that yes the lack of specific learning outcomes was an issue, on the flip side it is was also quite liberating. Time and holidays were really our biggest challenges. Thanks Debs – you were a key part of its success and we loved that you were so open in sharing during it.